Henkel's Thermal Products Group is the world leading developer and manufacturer of thermal management materials. We provide product solutions to control and manage heat in electronic assemblies and printed circuit boards. Sil-Pad products are used by many of the world's largest OEMs in various industries including automotive, computer, power supply, military and motor control. 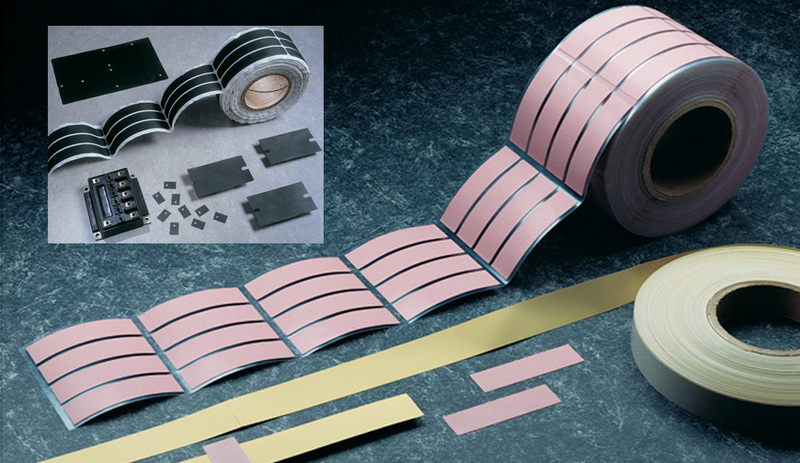 The Bond-Ply family of materials are thermally conductive and electrically isolating. Bond-Ply is available in a PSA or laminating format. Bond-Ply provides for the decoupling of bonded materials with mismatched thermal coefficients of expansion. Hi-Flow phase change materials are an excellent replacement for grease as a thermal interface between CPU or power devices and a heat sink. Hi-Flow materials change from a solid at specific temperatures and flow to assure total wet-out of the interface without overflow. Henkel has teamed with the highly respected automated dispensing equipment companies of Scheugenpflug AG, RAMPF, bdtronic, Nordson, and Musashi to further assist our customers in creating an optimized dispensing process. Like Henkel, they are the best in the world at supplying intelligent world-class solutions. By joining our team as “preferred dispensing suppliers”, we amplify our capabilities as the total solution provider. Our wide portfolio of thermal products and delivery systems uniquely positions us to meet even the most challenging requirements our customers may have, helping them guarantee their long-term investment. Please contact a Henkel representative for more information regarding automated liquid dispensing.